The Elite Force EF133 is a modern folding knife but with a vintage look. This look is backed up by its rock solid construction and excellent cutting ability. The spear point blade is made from tough Stainless Steel which holds its edge very well, and is finished in a black stonewash look. 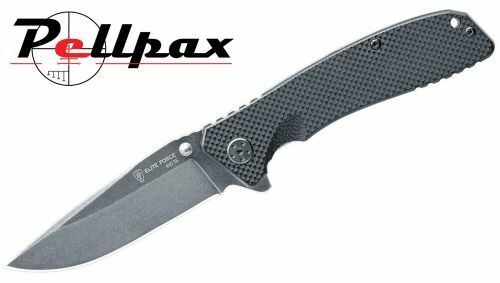 The Micarta handle is textured for maximum grip at all times, and even has a hole for a lanyard.